Pistis is a Ghanaian based fashion house, founded in 2007 by Kabutey Dzietror and Sumaiya Mohammed with aims at giving locally manufactured fabrics a new meaning. With vast experience and a team of twenty employees, the team are devoted to superiority and distinction in the fashion industry. Their keen and business attitude to the industry has created strong relationships with both manufacturers and distributors throughout Accra, the capital city, and a fast growing one in the whole country, the West African coast, and Africa. 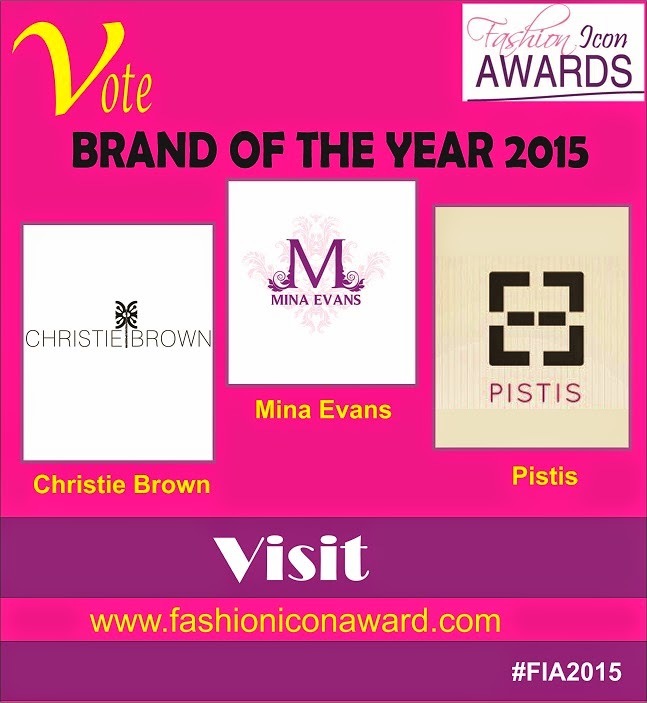 Pistis has participated in Vlisco fashion show, Dazzling Graphics, Glitz Africa fashion week among others. With an intense eye for fashion, these two individuals have made the brand name a force to reckon with in Ghana within a very short time. Christie Brown is a Ghanaian based luxury women's fashion brand that aims is to satisfy the stylish urge of "that modern woman who seeks a true taste of Africa". “At Christie Brown, our aim is to infuse modernism into carefully selected traditional African aesthetic that transcends international borders. It's really about allowing women to experience the culturally rich and opulent side of Africa without having to compromise their personal contemporary style”. The label was founded in March 2008 with the launch of the brand's first run way show in Accra. To date, the label has demonstrated international success. Besides winning The Emerging Designer of the Year Award in 2009 at the inaugural Arise Africa Fashion Week in Johannesburg, South Africa, Christie Brown was also the only Ghanaian label chosen to showcase in the Arise L'Afrique- a- Porter, in Paris as part of Paris Fashion Week in March 2010. At the 2010 Africa Economic Forum hosted by Columbia University, Aisha was invited to sit on the panel for "African Fashion Going Global"; a discourse on making African Fashion a recognizable global industry. The brand has also captured the attention of global magazines including Harpers Bazaar, Vogue Italia, Arise (UK), Canoe 53 Sails, Black Hair (UK), Destiny (SA), and Glamour Magazine to mention a few. Driven by classic, modern and luxurious designs and styles with a high level of customer intimacy, Mina Evans brand holds impeccable customer appeal. In 2010, Mina Evans stormed the African fashion market with the “Jewels & Tulle” collection captured by the popular lifestyle show “Studio 53”. The collection showed the designer’s love for fusing luxurious fabrics with ankara and intricate handpicked embellishments used in the pieces to produce feminine, stylish and flawless pieces wearable time after time again with a menswear dress shirt range which is relaxed and cool with a hint of afro centricity for the New African man. The brand has positioned itself as a fashion label to be reckoned with, styling the multi award winning international Nigerian artist TuFace Idibia and Ghanaian artist Becca among many others.